From Good Smile Company. 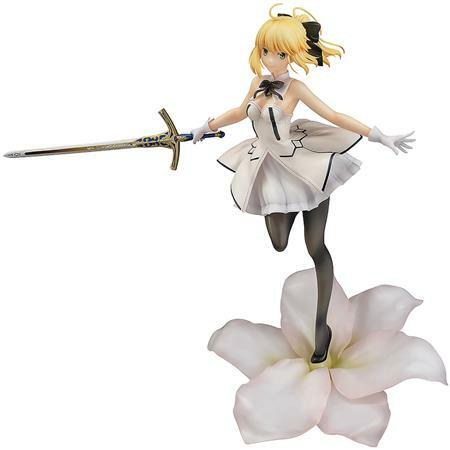 From Fate/Grand Order comes a 1/7th scale figure of Saber/Altria Pendragon (Lily)! Deemed Knight-Princess for her gorgeous appearance, The young knight Altria has been transformed into a scale figure. The figure captures her fluttering white dress and eyes filled with hope as she sets off in a run. She stands atop a special blossoming lily flower base. The vignette style of the figure brings out the loveliness of Altria even more. Be sure to add the Knight-Princess, bearer of Caliburn, to your collection!